As the owner of a mane that’s half the length of my body, I get my fair share of hair care questions. 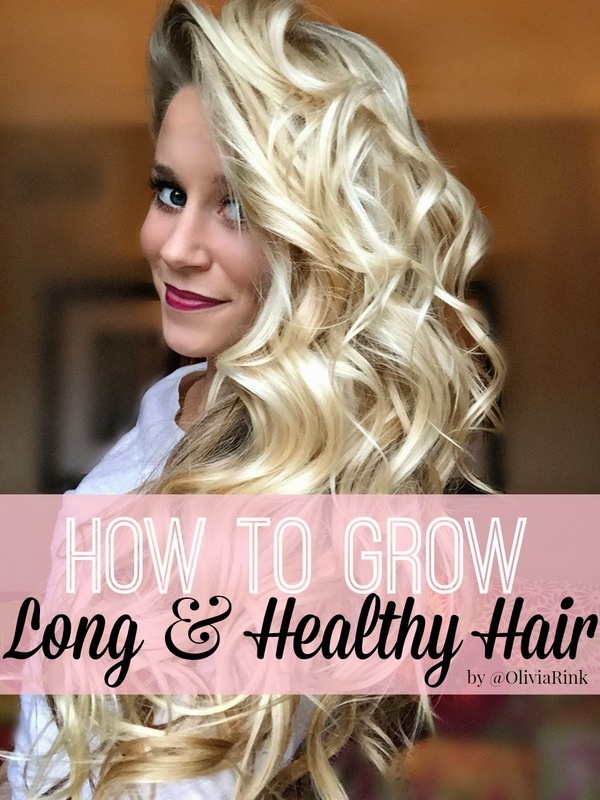 Today I’m sharing a few tips on how I keep my hair growing long and healthy. The most common questions I get are somewhere along the lines of “what’s your hair secret“, “do you wear extensions“, “how do you make your hair grow“, “what products do you use“? Well girls, I don’t wear extensions.. that seems like a whole lot of time and money that I don’t have, and unfortunately I don’t have a special ‘miracle grow’ hair product. What it really takes is patience, gentle hair handling, a few good products, and a healthy lifestyle to see noticeable changes. I’ve always had long hair, but over the last few years of taking good care of my hair and implementing the tips below, I’ve noticed a big difference in the length, healthiness, and shine. 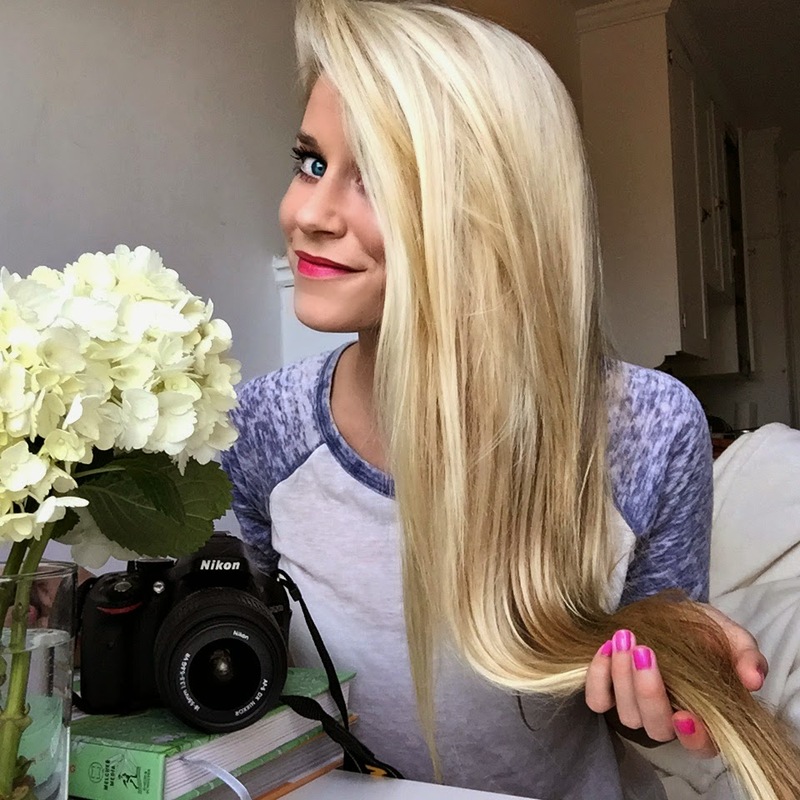 Several of you mentioned how your hair won’t grow passed a certain length, but don’t give up – all it takes is a little switch-up from your old hair routine and you will have long rapunzelish length in no time! 1. Be Gentle! I’ve said it once and I’ll say it again – the amount of high end hair products you use means nothing if you aren’t careful with the way you handle your hair. One of the most important steps to growing healthy long strands is being careful when you brush your hair – especially when it’s wet. The WetBrush has done wonders for my hair. It cuts the brushing process in half and also reduces breakage – wet hair is extremely fragile so be extra gentle with it starting from the ends and working your way up (this is one of the longest steps in my getting ready process!) TIP: I also brush my hair before getting in the shower to prevent wet hair tangles. 2. Shampoo & Conditioner 101: A few things about washing your hair I think are very important – Use shampoo and conditioner from the same line. They have a similar formula and you’ll get better results because the products are made to work together. 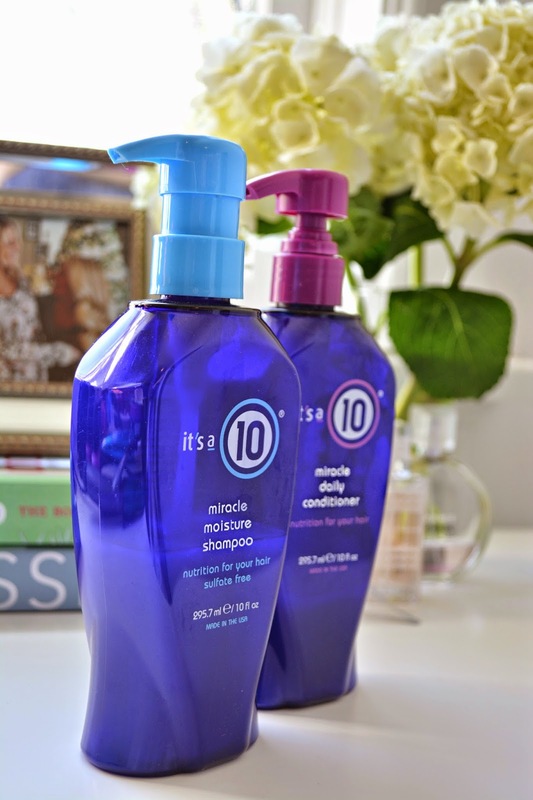 I use It’s A Ten Miracle Moisture Shampoo & Miracle Daily Conditioner. The shampoo strengthens and adds volume, while the conditioner detangles, softens, and adds shine. Rinse your conditioner out with the coldest water you can stand – this closes the hair cuticle and locks down the scales, which makes it extra shiny. (Tip: Use a clarifying shampoo once or twice a month to eliminate product build up, I use this clarifying shampoo. 4. Knotty Hair: You would not believe how long it takes me to brush my hair out after the shower. Don’t let my hair fool you – as long and healthy as it may look, it is SO much maintenance. I am very picky when it comes to detanglers, so trust me with these two: Moroccanoil works wonders and is by far one of my favorite hair products ever made (and the smell is incredible). 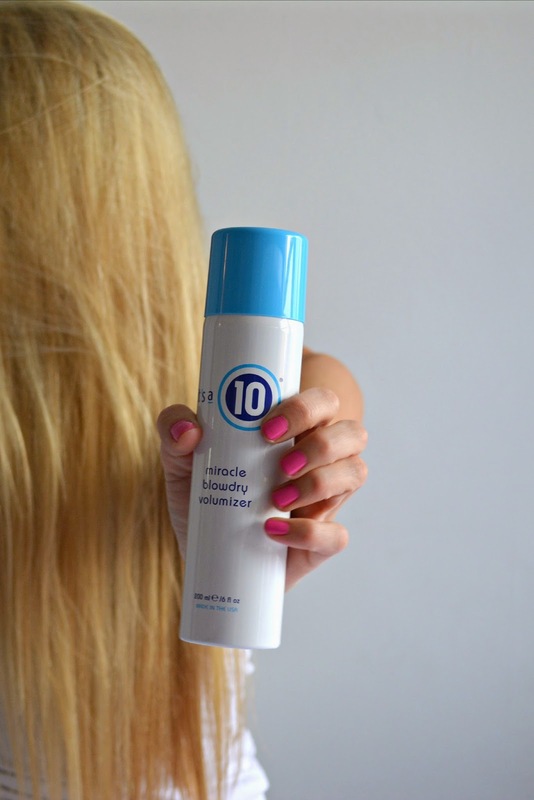 I also use It’s A Ten leave in conditioner: Leave-in Keratin Treatment. It provides your hair with so many benefits and the big bottle lasts forever, these products are really a no-brainer ladies! 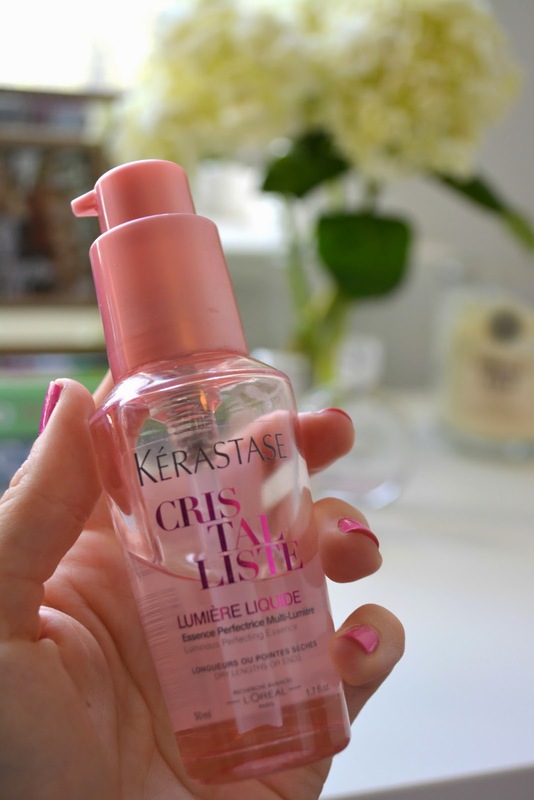 (TIP: for a detangler and major shine booster, I use Kerastase Cristalliste.. one of my splurges for hair products – it’s called perfecting essence). 6. Scalp Scrub: Scrubbing your scalp while shampooing for one full minute is actually very beneficial for growing out your hair. This stimulation of the blood cells on the surface of the scalp increases blood flow which stimulates growth and enhances the strength of your roots. Make this a habit every time you wash your hair in the shower. You should also do this one night a week using coconut oil. Use the pads of your fingers to massage the oil into your towel dried hair. Also, who has two free hands and would looove to give you a head massage? Your man! 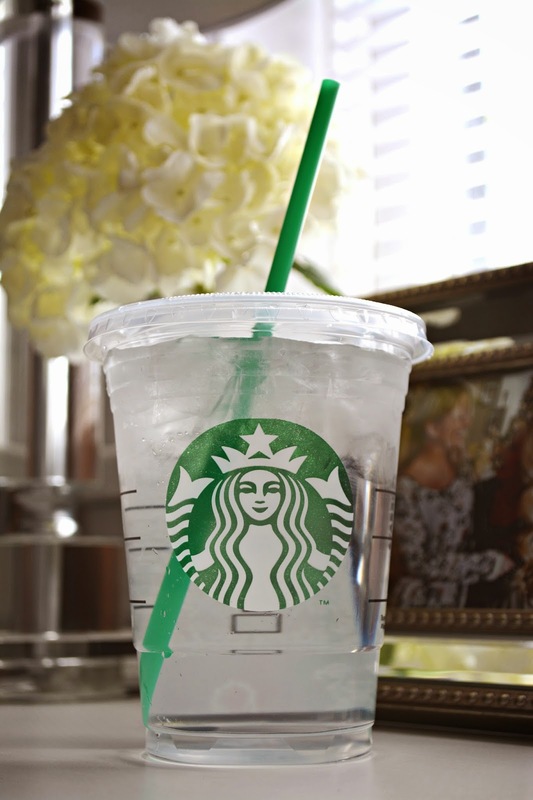 This can also help with stress & headaches. 7. The Trim Myth: Getting a regular trims DOES NOT promote hair growth; this is one myth we’re all probably guilty of promoting. The sad truth is that the rate at which our hair grows is genetically pre-determined and chopping off the ends does nothing to encourage growth. However, trims do get rid of ugly split ends which can cause the hair to look thin and damaged. I trim mine every other time I get my hair colored. I color my hair about every 3 months – which means sometimes I only trim two times a year, so don’t fall for the ‘trims make your hair grow faster’ myth, just let it grow! 11. 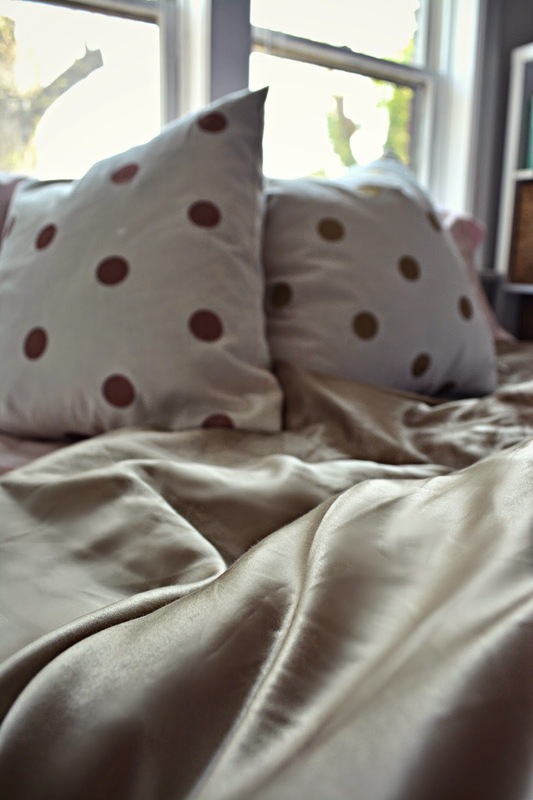 Beauty Sleep: Sleep on a satin or silk pillow case. Most of you probably sleep on a cotton pillow case that strips the moisture from your hair and is more likely to cause bed head. It doesn’t seem like it would make much of a difference, but if you’re sleeping on one every night, it adds up. I usually sleep in a loose braid to avoid frizziness and knotting so I don’t rip any hair out when trying to brush through it in the morning. 12. Don’t tease your hair!! 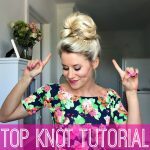 This does not look cute and completely destroys the texture of your hair. And be careful with ponytails – avoid tight hair ties that cause breakage. Since my pony tail can get kind of heavy, I try to only use thin loose hair ties. 13. Hair Vitamins:I don’t really believe in taking hair pills, but I do occasionally take fish oil pills that promote healthy hair and skin. In addition to preventing wrinkles, fish oil can boost your hair’s shine, prevent strands from drying out, and keep your scalp healthy. So, like I said in the beginning (if you’ve made it this far! ), there is no magic product or hair trick to getting long beautiful locks. I am sure the hair gods have blessed some of us more than others, but these are definitely all very important steps you can take to jump-start your hair growth process. The experts at Loxa Beauty have helped me over the past year pick out the best treatments for my hair type. If you want to talk to experts about what products work best with your hair type, go to www.LoxaBeauty.com. The website has trustworthy product reviews, the latest trends in hair and beauty, and tips from the experts. And just in case you haven’t seen them yet, here are the links to my hair curling tutorials! Thank you so much for reading, you girls are so great! Feel free to e-mail if you have more questions & stay tuned for a post in the future talking all about how I highlight my hair! Indeed, your hair is adorable! And your advice is wonderful. Too many girls a simply looking for the perfect product but in fact they need to change their handling to a more careful way. Love this! Quick question…do you wash the coconut oil out or use it as a leave-in? Usually I wet my hair, massage the oil for about 10-15min, then wash it out. Your hair will be super greasy if you leave it in ! Thanks for reading! 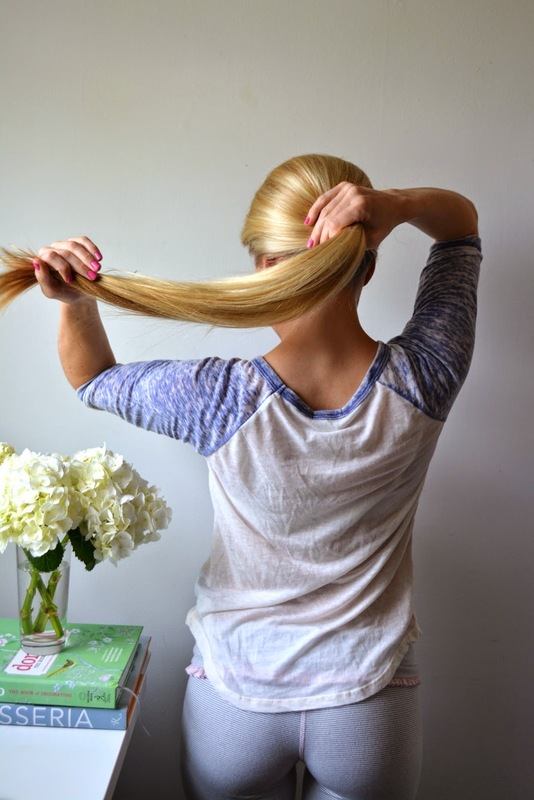 This was one of the best, most comprehensive hair care posts I've ever read! Thanks so much! Loved this post! 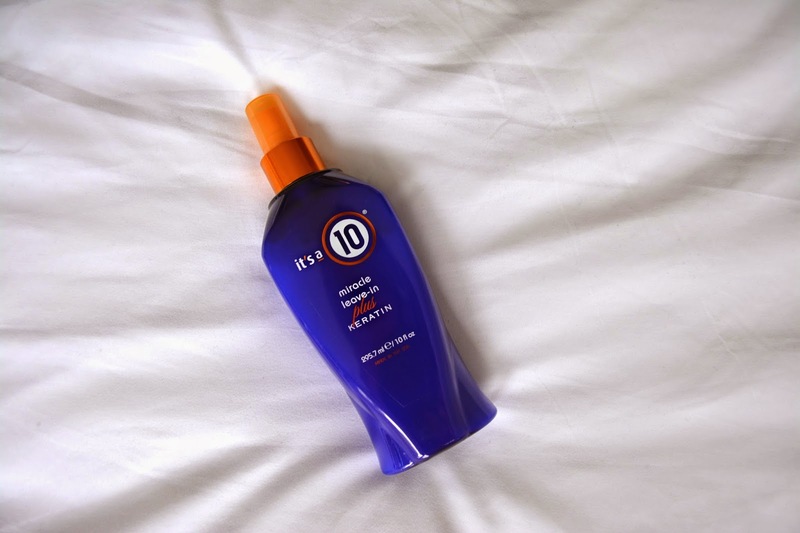 I am obsessed with It's a 10 products, and my hair girl about fell over when I asked her what brush she was using on my hair and leave in conditioner (Wet Brush and It's a 10) haha. I definitely got a "bless your heart" haha. I wish I could go to sleep with my hair damp, but it would be such an oil put in the morning! I have oily hair and skin! One random question – what type of lens are you using for your pictures? I have a Canon Rebel and am looking for a good lens to produce quality pictures like you have!! Help! Do you have a link for an awesome pillowcase? Thank you so much Shelby & I'm so glad you're following! Hi Jessica! Haha I'm so glad you loved the post and yes, It's a 10 products are the best. My hair gets kinda crazy too when I sleep on it wet! I actually have a cannon rebel too, but most of my pictures are from photographers I use in the area. I know a 50 mm lens is awesome – I am looking into getting my own! This is great! I've been envious of your hair since I started reading your blog months ago. Question: As a cheerleader how did you get your curls to stay looking nice? I can't make it through the first half of a basketball game without my curls looking piecey and messy! Love this! Thank you for giving so many options! I have a question- what brand and shade of lipstick did you wear in all of your tutorials? DO you have any discount code for drugstore.com? It's MAC flat out fabulous! My natural hair color used to be a dirty blonde but as I get older it keeps getting darker! I recently purchased the It's a 10 Moisture Daily Shampoo and Daily Conditioner, and I am finding myself using a lot of the of shampoo to cover just my scalp. I have never used a shampoo that doesn't lather like this one, and feel as though my hair/scalp is just absorbing the shampoo. I was wondering if that is normal or if you have any tips to reduce the amount I use (6-8 pumps)? Love the post! Love the hair care tips!! Just curious if you ever got around to the highlighting hair post? If so, I would love to read it! Hey Olivia! When you sleep in a loose braid, is your hair wet or do you let it air dry before braiding? If you leave it wet to braid do you keep it together with a pony tail holder? I'll be doing a highlighting post soon, thanks Ericka!! I am working in an accounting company, due to stress of my job nature my hairs started falling down and my hairs length also reduced. One of my friend told about NuhairRx serum. I started using NuhairRx for past six months. First month not much expected result, so got bit worried. But after few months usage, I feel very happy with NuhairRx serum final result. Hi, Olivia! My flat iron just died yesterday. I was hoping to find out what kind you use on this old post; however, I don't see one listed. Anyways, I would appreciate any recommendations!!! My old flat iron was ten years old so I've been out of the market for a while. Thanks! Well those tips sounds really helpful. and I must say you got really nice hair. Loved those golden locks !! Thank you so much for this post! Two days ago I went to get my hair done and my hair dresser fried it, and it is now chopped almost to my shoulders! I have been wondering what products I could use to get it back to health and this really helped! Do you straighten your hair before you curl it? My hair is not a good straight not a good curly after just drying so achieve curls have been using a straightener for a smoother look. Any suggestions? 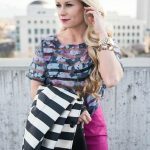 So I just stumbled upon your blog and I love it! If you don’t mind me asking, where are your adorable leggings/pants from in all those photos!? Hi Olivia! I am really considering chopping my dead and damaged hair off and really investing in my hair. These products seem great so I’m thinking about getting a lot of them, but your discount doesn’t seem to be working for me. Do I put it in the promo code spot? Also how often do you use heat on your hair? This post is perfection! I used to have frizzy, shoulder-length hair in high school. It never seemed to grow. I frequently highlighted it, and straightened it every single day. Even if I wasn’t leaving the house for the day, I would straighten it just in case. In college, I was sick of how damaged it looked. I got rid of my hair dryer and straightener, and did absolutely nothing to it for about two and a half years. It took a bit of time, but it honestly looks amazing now. It’s the same length as yours. I still do not own a straightener/dryer, but I curl it occasionally. It’s naturally straight now from how long/heavy it is! This post is super helpful for anyone trying to grow out there hair. I’ve shared it with quite a few friends! In this post you said you deep condition twice a week.. do you use the deep conditioner in place of your normal conditioner? And when you use coconut oil, is that before you shower and both shampoo and condition your hair? Yes, if I’m deep conditioning that day I’ll just use shampoo and then leave the deep conditioner in after that. And when I use coconut oil, its for random nights when I shower (shampoo & condition hair) and just stay home – because it looks pretty greasy! Thanks for reading Morgan! I’ve had long hair for such a long time I can’t really remember how long! Definitely read my ‘healthy hair post’ for a few tips! Hi Olivia I love reading all your blog posts you create super cute outfits and really good advice! My question is I have hair that’s a little below my shoulders with lots of layers (I want the layers GONE) I LOVE the style of your hair just long with no layers my hair is fine in texture.. unfortunately.. But my question to you is would you say you have really thick hair or just average? ? It appears thick but I’m just trying to compare to see if I could ever even pull off a style like yours! Thanks ! Hi Olivia! I have loved this post! I have followed all your steps and in just a few weeks my hair has been so soft! I notice a huge difference! How often do you wash your hair? That’s so good to hear! I usually wash my hair every day or every other! Hey Olivia! 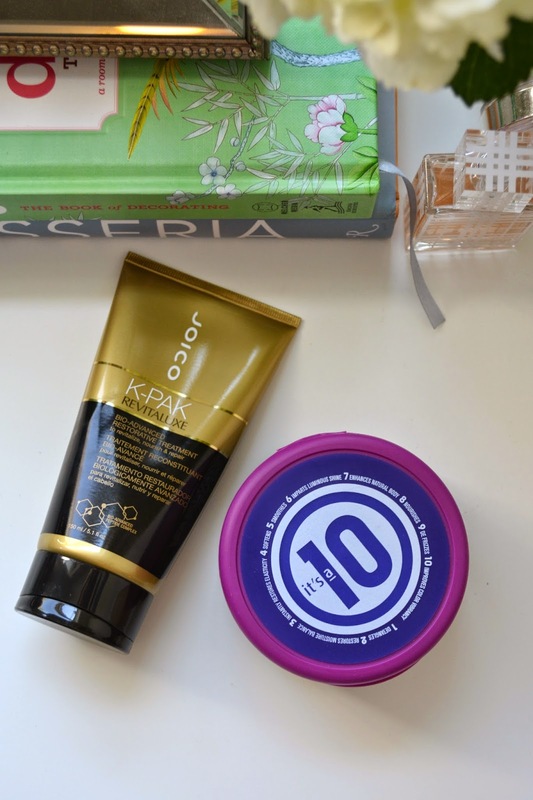 What do you think about kerastase shampoo/conditioner versus the its a 10 products or joico? Thanks! Thank you for sharing excellent informations. Your web site is very cool. I am impressed by the details that you have on this site. It reveals how nicely you understand this subject. Bookmarked this web page, will come back for extra articles. You, my friend, ROCK! I found just the information I already searched everywhere and simply couldn’t come across. What a perfect web site. Loved your article! Great tips. I bought a set of Silk Pillowcases from https://manitosilk.com/. and I am so happy with the results with my hair. No more bed head and less frizz. You are so right! Thanks for writing your tips ! Hi Olivia! I recently found out about your blog and I love it! How do you take care of your hair after exercising? Do you still just wash it a couple times a week? Thanks in advance! Great tips! Very Nice Article. But i’l definitely now do what you have suggested. I love your hair its so beautiful. Wish to grow mine (if it does). #7 is most important for me at this moment. I dont usually wash my hair maybe just 1-2 times but i dont care for it . How do you recommend to sleep with your hair? I’m never sure what to do with mine. I feel like a bun will make it break, braid makes it get the dents in it and letting it go becomes tangly.